Over five decades ago the “Mittal Brother’s”, saw a great opportunity in India’s growth story. 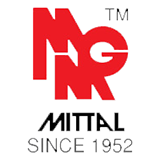 Mittal Builders were India’s foremost developers to offer housing for sale in the country. Our Group is primarily involved in development and the sale & leasing of residential, commercial and industrial properties. Our group’s efforts are spread far and wide across the country with footprints in Mumbai, Thane, Pune, Delhi, Bangalore, Hyderabad and Nagpur. A unique characteristic of mittal Builders is that at any given point, we cater to all strata’s of society, offering housing opportunities to the lower and middle income groups as well as the elite. Having developed over 50 million square feet in more than 2000 buildings, the Mittal Builders have premium value associated with their name. Many of our buildings stand as landmarks in their own right. Blessed with incredible heritage & legacy, we are committed to continue developing Indian landmarks. Enterprising as being in the age of “pagadi” (tenancy), we were the first to offer housing for sale in the country. Through generations now, we have carried on our tradition for outstanding quality, use of world class technology and dedication. Thus we are amongst the most respected and trusted real estate developers in the country. Being India’s premier construction house, we carry with us the legacy of many firsts in Indian construction history. Our various projects stand out as testaments to such foresight.